The rice fields of Xai-Xai, three hours up the coast from Maputo, are vast, coming into view as we descended onto the alluvial plain from the villages that dot the hills above. They stretch across the plains toward the Indian Ocean as far as the naked eye can see, in the flat green monochrome of a rice plantation. Mozambique was one of the leading targets of large-scale agricultural investment projects, widely denounced as “land-grabs” by critics. 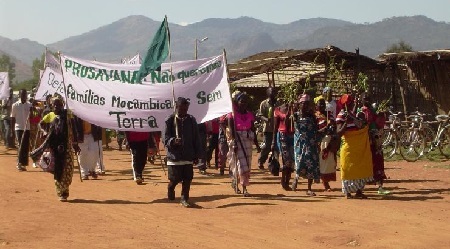 Community resistance had prevented most such projects in Mozambique, including ProSAVANA, the controversial Brazil-Japan initiative, which was slated to be the largest land grab in Africa. As I’d seen in the field, it seemed to grow not crops but only rumors, threats, government proclamations and community resistance. Like ProSAVANA, this project had its share of those too. A Chinese company had gotten a 50,000-acre concession to grow rice on this colonial-era farm and the Chinese had been accused of land-grabbing, of taking community members’ land without authorization and without warning. The company had developed 17,000 acres of its own rice fields, rehabilitating the colonial-era irrigation system. And it had trained about 70 local farmers to grow rice on contract on a portion of the company land. 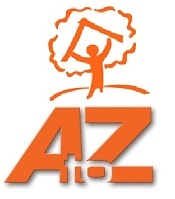 Heavily promoted by Mozambique’s president at the time, Armando Gueuza, the rice was on the market under his recommended brand name, “Bom Gusto” (Good Taste). I found a vast rice plantation and plenty of community resentment – from contract farmers, about the lousy terms of the contracts; from farmers who had given up prime land close to their communities only to be given land miles away; from women who had lost their land but successfully fought to get it back, and who were still fighting for compensation. I also found another failing land grab, begging the obvious question: Why not give good land to poor food producers instead of foreign investors? Photo: Local protest against Mozambican government-imposes ProSavana agricultural project on farmers. Source: SouthWorld.